Download this concept paper here (PDF). According to official numbers of Turkish republic there are more than three million refugees residing in Turkey. More than four hundred thousand refugees are based in Urfa province. Turkey has different regulations than the ones implemented in Syria. Since the refugees from Syria has acquired a role because of their long-lasting presence as actors in Urfa, we must come up with innovative regional solutions and start working with the Syrian groups to secure the conservation benefits that occurred in the last decade. Only by enriching the local conservation action with a local focus on Syrian refugees, it will be possible to keep on protecting the well-being of endangered species and their habitats in the region. Our teams on the site is willing to be a part of the solution and are aware that this issue is of immediate concern and yet must be handled patiently. Through improvement of local capacity, scientific documentation of threats and keeping the communication alive, it will be possible to reduce the persecution of endangered species and raise the awareness of Syrian Community during their stay. 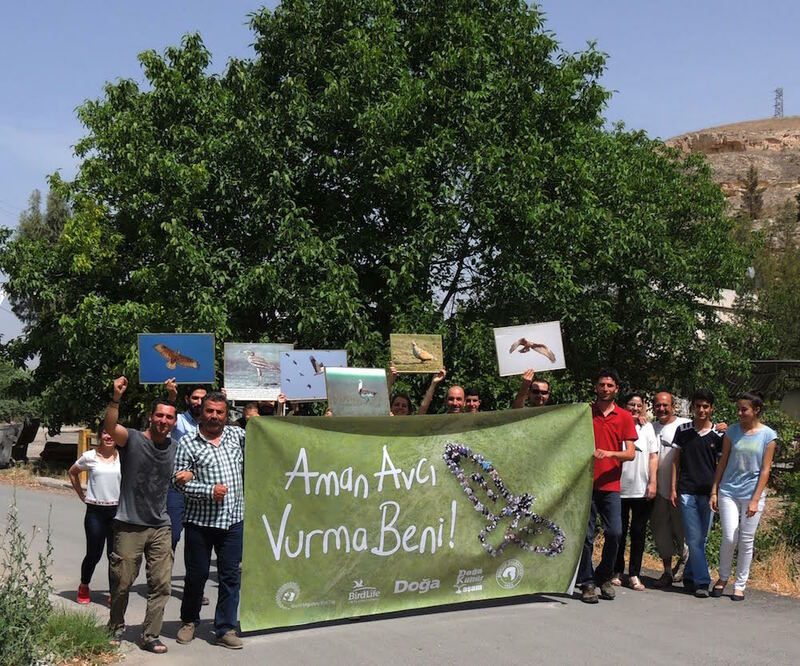 Urfa region is providing safe home to many threatened species such as Goitered Gazelle (Gazella subgutturosa), Striped Hyena (Hyaena hyaena), Long-eared Hedgehog (Hemiechinus auritus), Great Bustard (Otis tarda), Cream-colored Courser (Cursorius cursor), Pallid Scops Owl (Otus brucei), Northern Bald Ibis (Geronticus eremita) and Desert Monitor (Varanus griseus). Birecik is also known as the only breeding area of Northern Bald Ibis (Geronticus eremita). Many of these species are illegally killed or trapped by refugees in the area and government personnel gives punishment fees of thousands of Turkish liras. Thus effecting refugees financially in an adverse way. Doğa has a grass root establishment in the area who are dedicated to conservation of local wildlife. Urfa province is located adjacent to a war zone and civil unrest is part of daily life in the region. Doğa’s team is already active in the area for 12 years and does not have the disadvantage of being perceived as a stranger, being affiliated with the local community. Over time Doğa has become one of the local values of Birecik and each of the team members have established long lasting relations with local institutions and community leaders. With the joining of Mahmoud Shaiesh Abdoullah who escaped from Syria with his family and became a refugee himself to Doğa’s team from Syria, Doğa is now more strong to tackle conservation issues caused by refugees because a native speaker can directly engage the situation. An awareness raising frame workplan has already been prepared and put into action which includes visiting of 2 schools every week but the lack of financial support does not let us engage entire region. Another focal area of Syrian refugees is in western part of Turkey, İzmir where more than a hundred thousand refugees are living unofficially. Doğa’s nature school is located in the area which develops and implements Doğa’s capacity building programme within its strategy. Syrian refugees within İzmir region are a great danger towards songbirds especially finches. With the proposed project a new bilingual (Turkish – Arabic) training program towards Syrian refugees called “Nature for All” will be developed. The project will take place as psychological, social and financial rehabilitation towards refugees. Develop and implement Nature for All training programme. 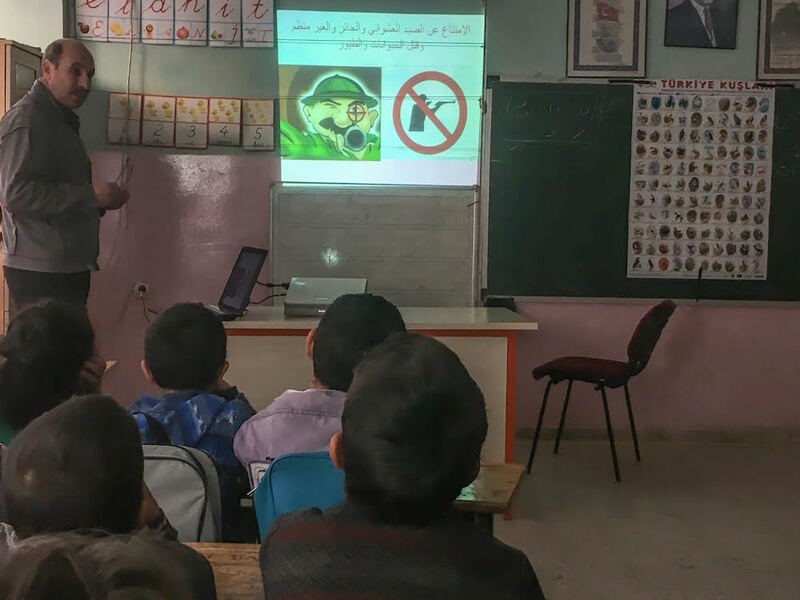 Work closely with Syrian teachers who are officially working at schools with Syrian students at coordination national coordination unit inviting them to Doğa’s Nature School. 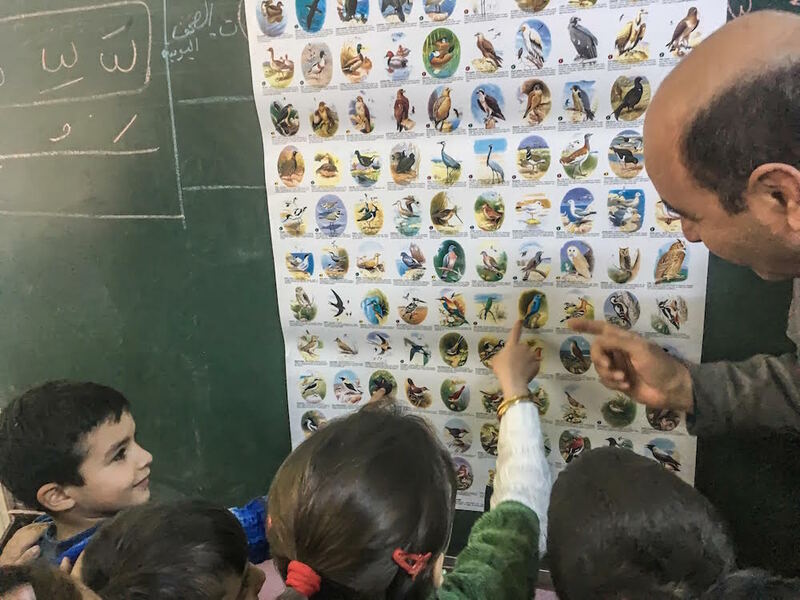 Establish a bird-watching group with Syrian children to monitor threatened species. Increase awareness of Syrian refugees settled at 2 different refugee camps on Turkey’s and region’s biodiversity, legal framework, threatened species etc. Prepare and disseminate a short movie in Arabic to be shown at public places and Syrian refugee camps.